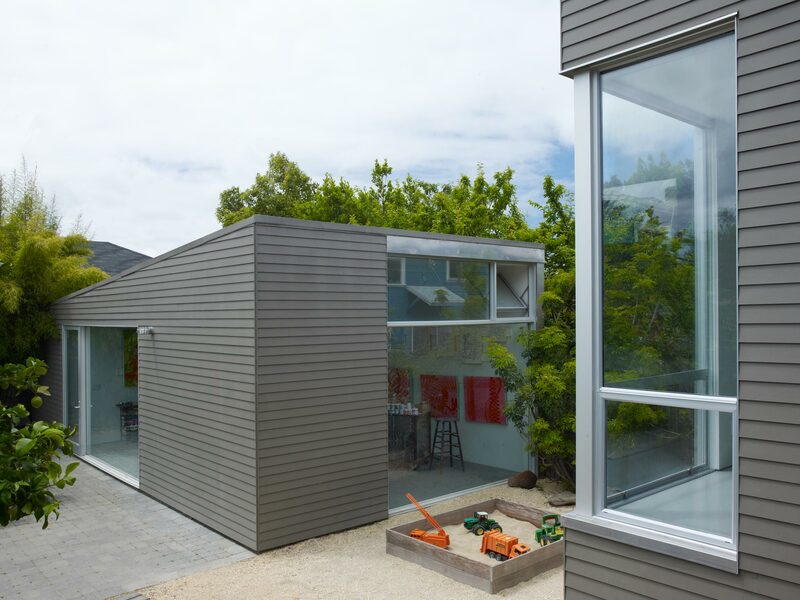 The first phase of this project was a new backyard artist’s studio, placed in a corner along the property lines to avoid constricting the remaining open space. The studio’s clean, simple form provides generous room for the artist to work on large format paintings. 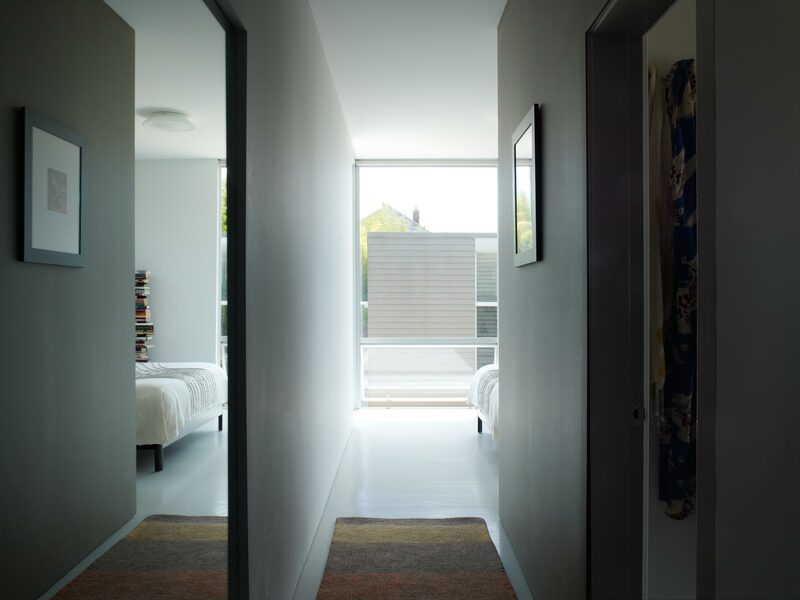 A large north facing window offers gentle light for the studio’s interior, and give the building a sense of transparency. 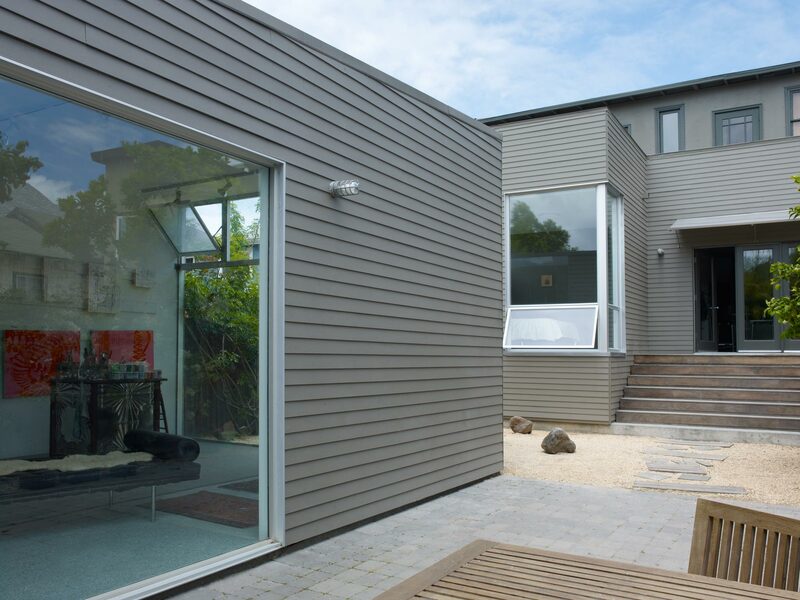 A few years later we were asked back to design a master suite addition, roof deck and entry fence that would pair stylistically with the studio building and unify the property’s aesthetic. 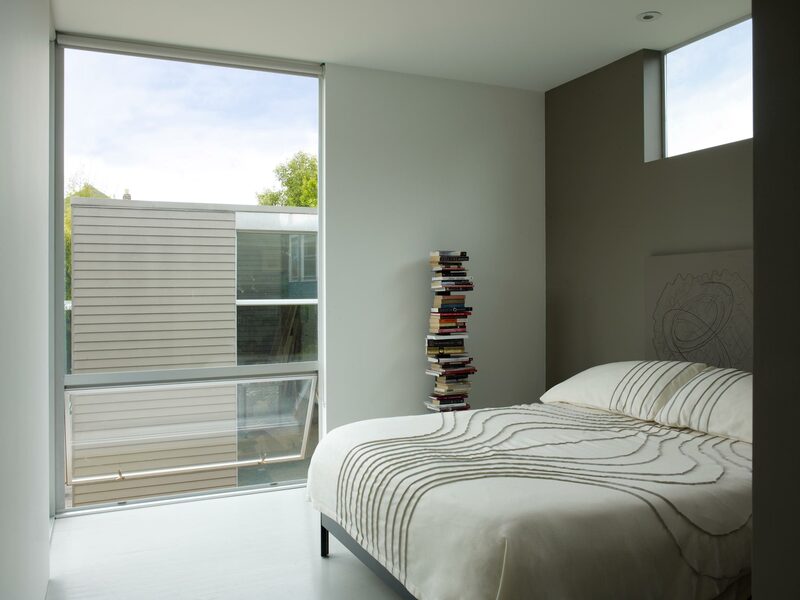 The airy master bed and bath focus on maximizing light while maintaining privacy from adjacent neighbors, and benefit from understated materials and painted floors. The roof deck addition is accessed within the original home’s second floor, where the family enjoys a great urban view, and can watch the elevated BART trains go by.